Overview... a truck driver with a weakness for pretty women. 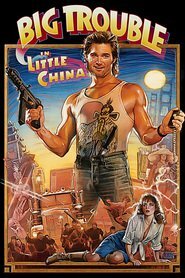 He puts stock in his fast reflexes, so much so that his catchphrase is, “It’s all in the reflexes.” Jack is helping his friend Wang Chi pick up his fiancé at the airport when they are thrown into a wild war between ancient Chinese sorcerers. It all goes downhill from there. Personality… cocky, brazen, and heroic without being gallant. Jack is the drinking man’s hero. He isn’t afraid to stand up for a damsel in distress, but that doesn’t mean that he’s going to enjoy doing it. Hard-headed and set in his ways, Jack always insists on having things done his way– even if he’s helping with a problem he’s unfamiliar with, like fighting ancient Chinese Sorcerers. A blowhard who succeeds as often as he fails, Jack’s most heroic trait is his tenacity and loyalty to his friends. Jack Burton's popularity ranking on CharacTour is #2525 out of 5,000+ characters. See our top-ranked characters and read their profiles.